February is a short month . . . make every day count by spending time in intentional prayer for your children. Here you will find this month’s prayer calendar to help with that Print it off, or, if you’d rather not print anything off, come back to this site each day for your new idea. I love it when you visit! BONUS: This year we get one extra day . . . which means that by the end of the year, we will have prayed 366 days!!! Why don’t you celebrate by telling your child how special he is to you . . . right now if you can? 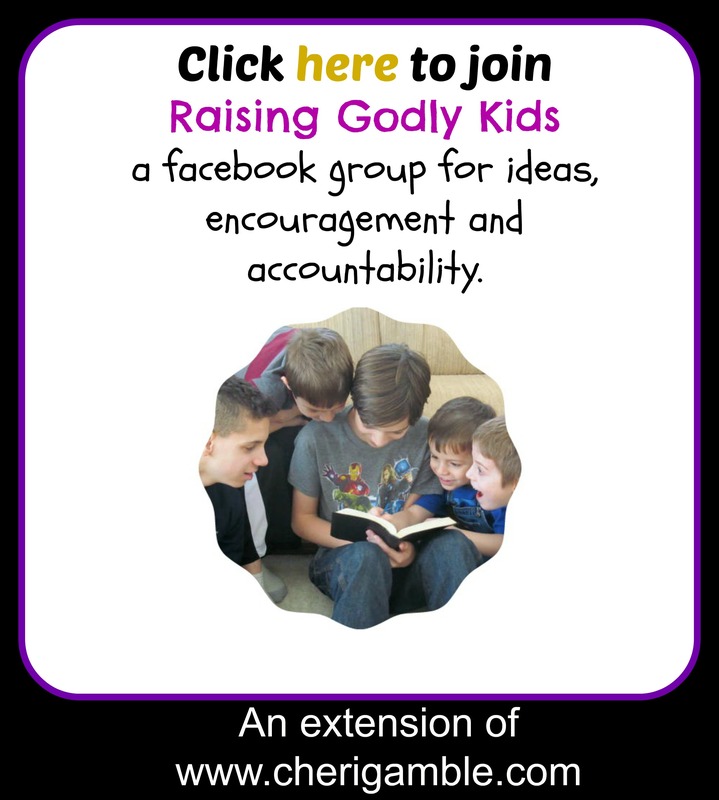 And then hop on over to my facebook page and give it a like and then join our facebook group, Raising Godly Kids, for more encouragement as you raise your kids to love Jesus! Have a great month . . . and do something special on that extra day! What a great resource this is! I’m looking forward to printing out the list and praying through the list. Thank you for sharing with us at Grace & Truth! Thank you so much for this. I am so happy that I found you at Grace and Truth. I pray for my daughter daily and I LOVE the idea of an intentional prayer every day. I will definitely follow this for the rest of the year. Thanks again!